Once your corporation is up and running, you might think that there is nothing left to do other than to make a healthy profit. However, if you neglect the necessary formalities, you might find yourself in a very precarious position. Your corporation could be dissolved or you could find yourself personally responsible for a corporate liability. Here are a few pointers from our Reno corporate attorney to prevent things from going in the wrong direction. Understand certain Corporate Formalities in Reno with this article. If you are operating a corporation (as opposed to a limited liability company), you prepared minutes and by-laws when you started your business. While the by-laws may not be subject to change very often, you should take special care regarding the minutes. Your by-laws will provide for annual meetings and, when necessary, special meetings of the board of directors. You should have written minutes of any such meetings even if very little was done. Having an annual meeting with the written minutes is a must as it will show that you are following the rules that have been stated in the by-laws. The by-laws may provide that certain actions may only be taken by a special meeting of the board of directors. Often, the by-laws state that if the corporation wants to issue stock beyond what was initially authorized, it must receive the approval of the board of directors. Any actions such as this must be memorialized by written minutes of a meeting of the board. One event that should always be captured in writing is a loan from one member of the corporation to the corporation. Not only should there be minutes covering this action, but a written promissory note should be prepared and executed. A little bit of caution can avoid a lot of legal discomfort in the future. Your state of incorporation requires that you register your corporation each year and pay an annual fee to do so. It is usually a very simple process that can be completed online. It is a step that can be relatively easy to forget; the ultimate result of forgetting or neglecting the annual registration could be disastrous. Under certain circumstances, the failure to file an annual registration could result in your corporation being dissolved by the state. If this happens, it is as if you have no corporation at all. 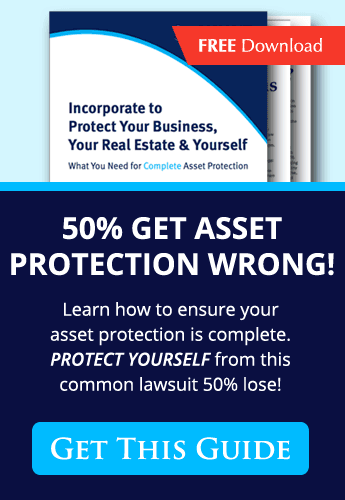 The protection from liability that your corporate status affords to the individuals who own and run the business could be lost in a heartbeat. There is a huge price to pay for your failure to file. In certain situations, if you are doing business in states other than your home state, you must register in those other states. Isolated transactions do not usually trigger this requirement. If you are doing continuous business in another state or you establish an office there, you might have to register in that state as a “foreign corporation.” Each state has its own rules and regulations for whether you must file. If you are a multi-state business, it is very important to research the rules of those states and make sure that you are in compliance. Your corporation is an entity dedicated to conducting its business. Its finances are to be used for the day-to-day operation of its affairs. The corporate funds should only be used for the business and never for any expenditure that is personal in nature. If you are purchasing office supplies or equipment and only have a personal check or debit card with you, do not use it. If you are buying groceries for your family and only have your corporate credit card, do not use it. You must keep your funds separate and not let them overlap. This is another situation where simple neglect could take away all of the benefits of being an official corporation. Whenever you sign a document for the business, it should be clear that it is being signed in your corporate capacity. The name of the corporation should appear above the signature line. Below the signature line, your name should be printed with your corporate title after your printed name. You don’t want to give anyone reason to claim that you were not signing the document for the corporation but for yourself as an individual. ABC Corp. sued both XYZ Corp. and XYZ’s owners, Bob and Julie. ABC brought the suit against XYZ as a corporation as well as both Bob and Julie as individuals. One of the defenses offered by both Bob and Julie was that ABC’s claim was really a business claim against XYZ and not a personal claim against either Bob or Julie. The judge first asked Bob and Julie if the corporation had filed its annual registration. They showed the judge the confirmation that their annual registration was current. They felt good about giving a good answer to the first question. The judge then asked them if their annual minutes were current. To that question, they answered “no.” He then asked them if their corporation had by-laws. They answered “no” to that question, as well. The judge had heard enough. He said that just filing your annual registration was not sufficient. If you don’t comply with the basic corporate formalities, you do not get corporate protection. ABC’s case moved forward against XYZ, Bob and Julie. With guidance from a Reno corporate attorney, a little planning, and a good calendar, you can ensure your business complies with the required formalities so that the owners retain the benefits and protections of the corporate form. To schedule an appointment with a corporate services lawyer in Reno call The Sutton Law Center at 800-700-1430 or 775-629-5273.